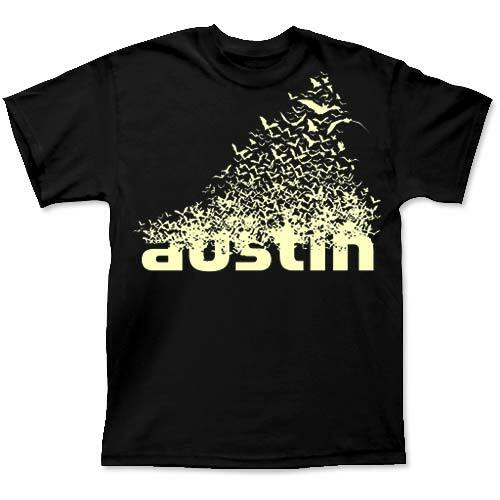 Rock Bat - Sapphire Youth Shirt [5252YTSP] : Outhouse Designs Screen Print T-shirt Store, Keep Austin Weird! 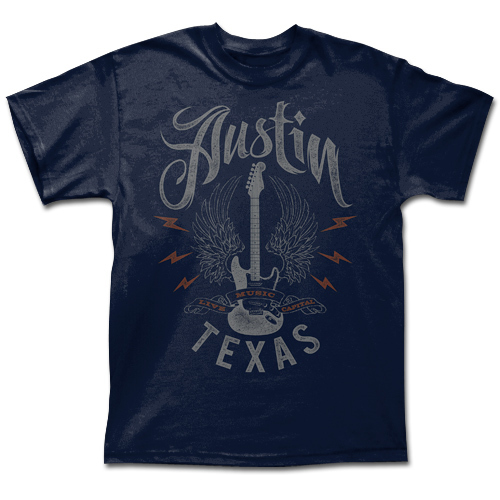 Our screen printed Gildan 5000B 100% Cotton Youth T-shirt in Sapphire features a mischievous, playful bat, hanging off of the 'X' in "Texas". 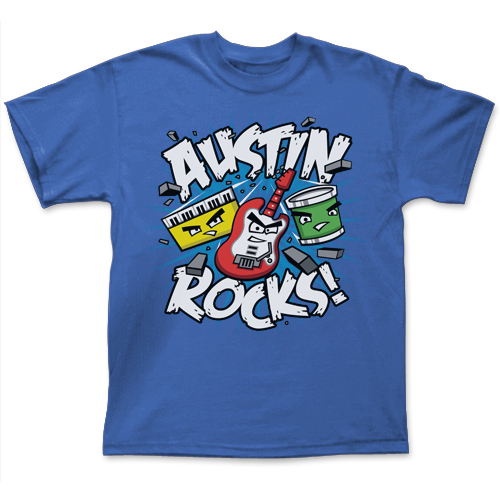 Front print only.